1. Set the fan speed to the desired speed. 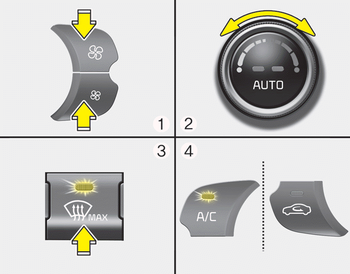 If the air conditioning is not selected automatically, adjust the corresponding button manually. If the position is selected, lower fan speed is adjusted to a higher fan speed.